The purpose of this project was to display a concept for Suqian City: a city in forest, a garden city, an environmentally friendly city, a sustainable city. Furthermore, the project should develop the landscape and imagination of Suqian city, and introduce modern design concepts and technologies and create a city with both modern and local cultural characters. 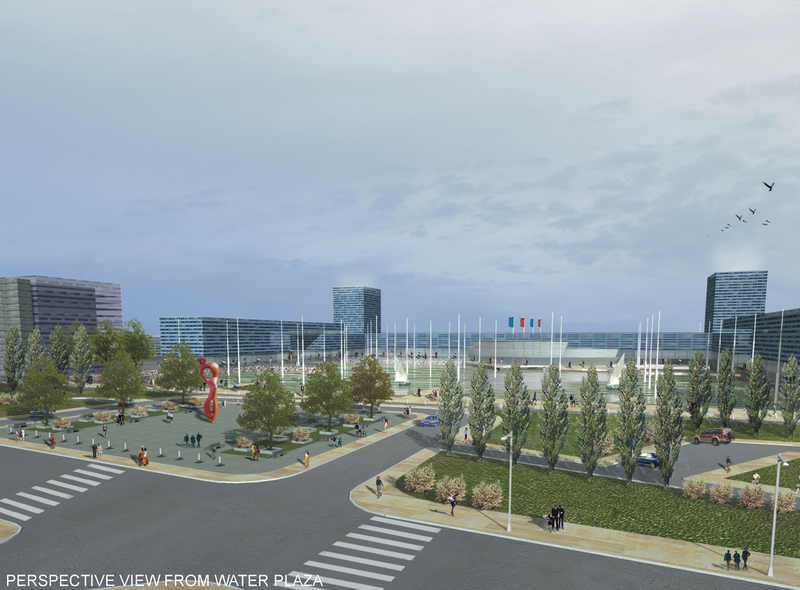 This regional center master plan was inspired by local historic water villages. In the Chinese river deltas, villages are traditionally compact and centralized and are located a day’s boat ride from each other. 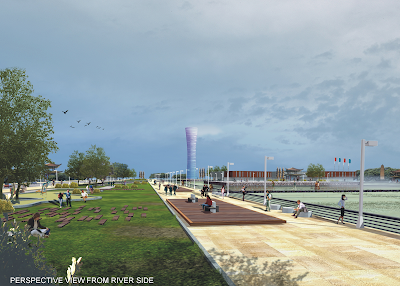 DIAP created a linear multi-use center along an existing canal. Intended as a possible Olympic venue, this plan optimizes space for water activities and is centralized and self-sustaining. DIAP’s plan won first place in an international invitational competition. The creating of an integrate Multi-functional new city sector, attuned to 21st century urban standards and ideals. 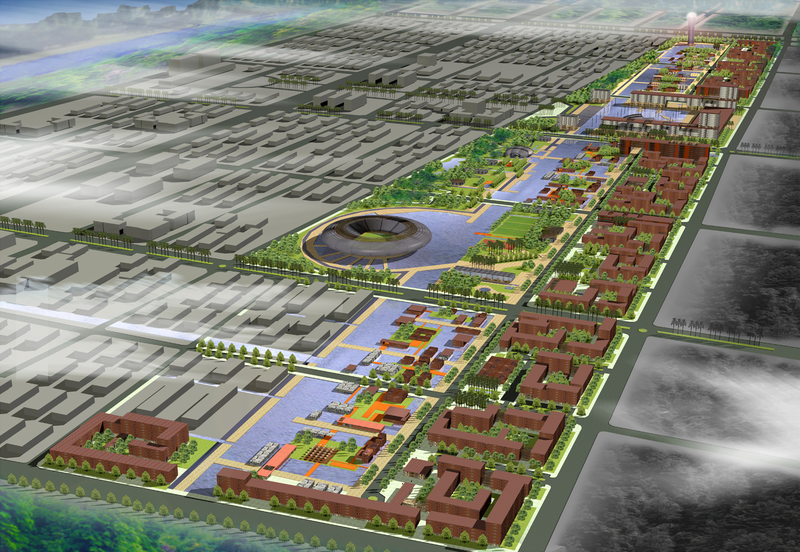 Economically and financially sustainable, will enable the Sucheng district to become the new face of Suqian City. The proposed scheme is the integration of urban architecture and landscape and international business development, as key elements for the accomplishment of its economic sustainability. The urban and landscape form proposed is the adequate response to the specific geographical, topographical and circulation network condition in the Qingshui Riverside area in Sucheng district. A longitudinal space running east-west, regional in scale, extensively landscaped, containing urban infrastructure and facilities, parks and water features, links Sucheng District and Suqian city and the region. 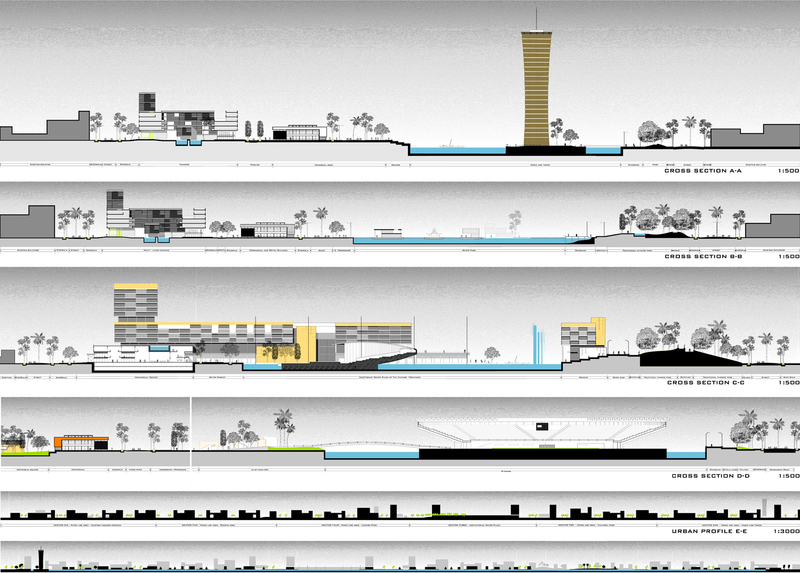 The proposal takes full advantage of the existing waterways, canals and river edges, highlighting this existing particular landscape, giving place to the perception of the new development, and a green aquatic city sector. New face of Suqian City. A balanced combination of the artificial and natural landscape has been sought out in this project. In this was, extensive man-made landscaped area, at multiple scales, parks, plazas, gardens, etc. Particularly the new Qingshui River shore will trigger the reading of the new development as a green city.